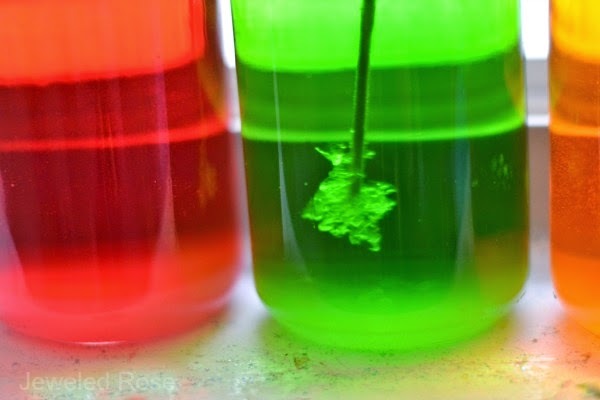 Making rock candy is really easy and lots of fun for kids. 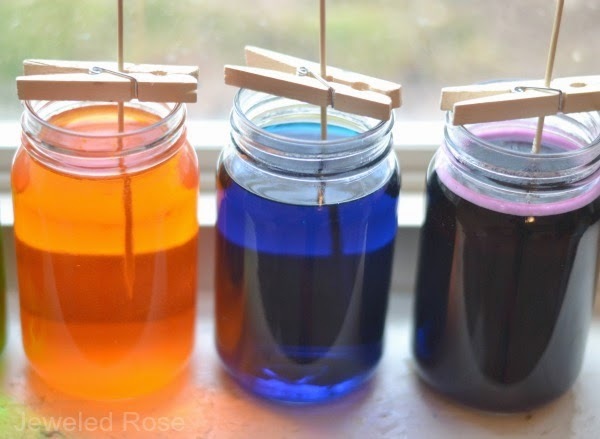 This activity is a beautiful science experiment and a yummy treat all in one. 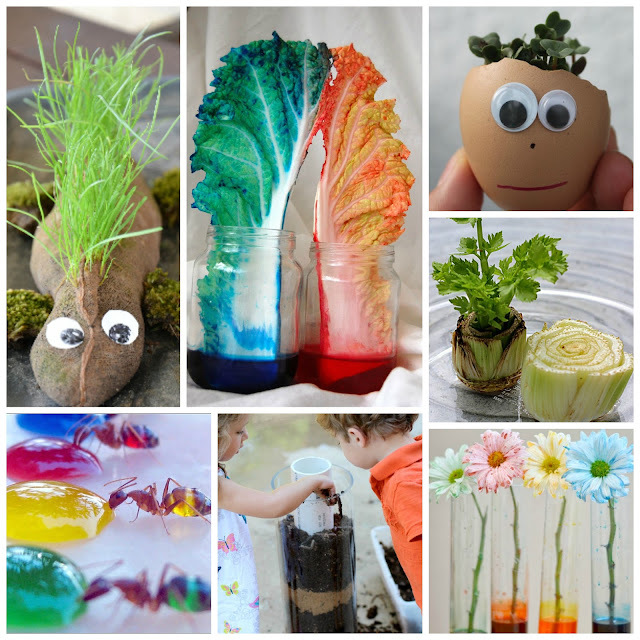 My kids LOVED checking on their jars each day to see if the rock crystals had grown. 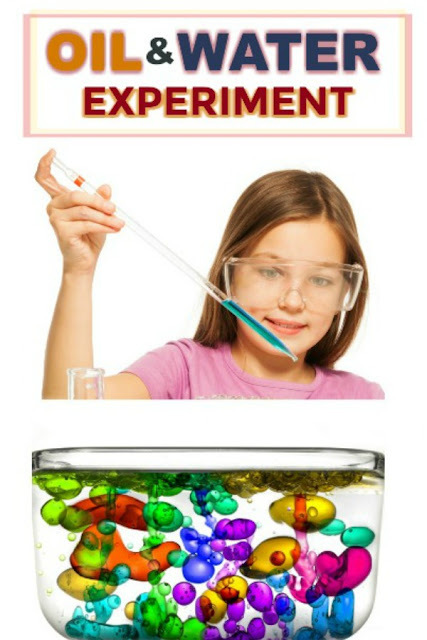 Follow this easy tutorial to conduct your own rock candy experiment. Note: You can easily double and triple the above recipe. 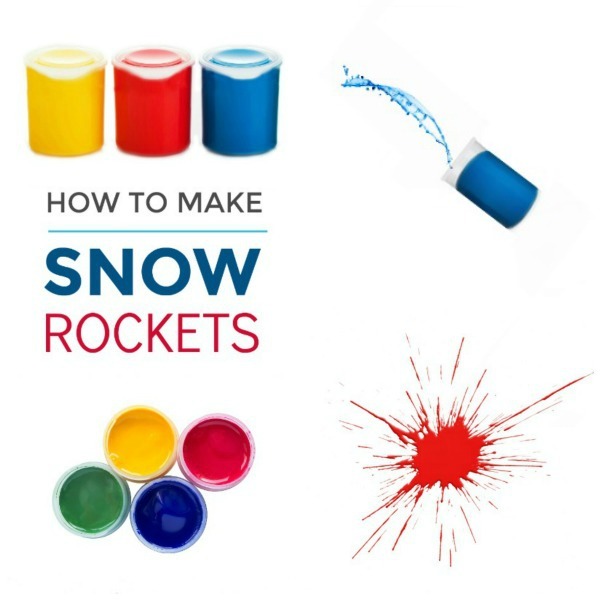 We wanted to make a rainbow of rock candy colors, so we ended up using 10 cups of water and close to 30 cups of sugar. 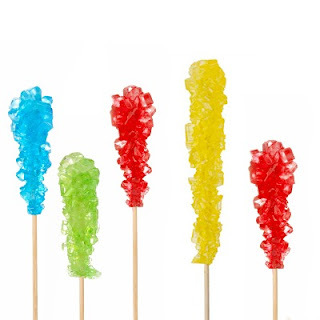 As long as the sugar to water ratio is close to 3:1 the rock candy will grow. 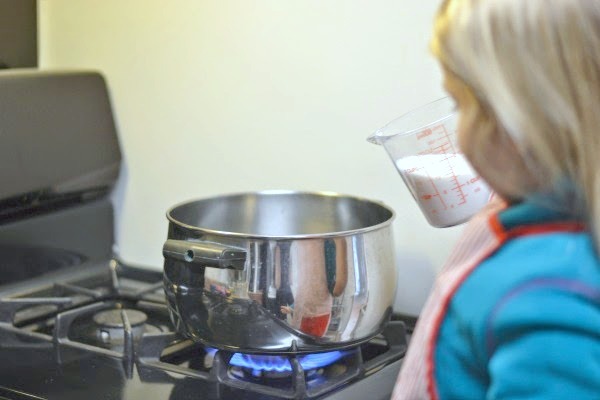 Combine equal parts of sugar and water in a saucepan and heat until all of the sugar is dissolved. Then, slowly add more sugar and mix, slowly adding more sugar and mixing until the sugar will no longer dissolve in the water. The water should start to look a little cloudy. That is when you know that no more sugar is dissolving and the perfect sugar-saturation has been reached. The short version is that you are creating a saturated sugar solution, or a solution in which no more sugar can dissolve at a particular temperature. The amount of sugar verses water used should be roughly 3:1. You can easily double & triple the recipe as long as you mantain a 3:1 ratio. 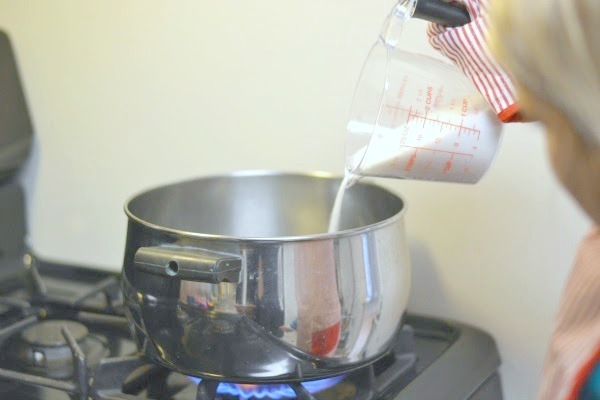 Add candy flavoring if desired, and then continue to heat the water until it comes to a simmer. Remove the sugar-water from the heat and allow it to cool. Cut the skewers to a desirable size for the jar(s) that you are using. Then, dip the sticks in water and roll them in sugar. 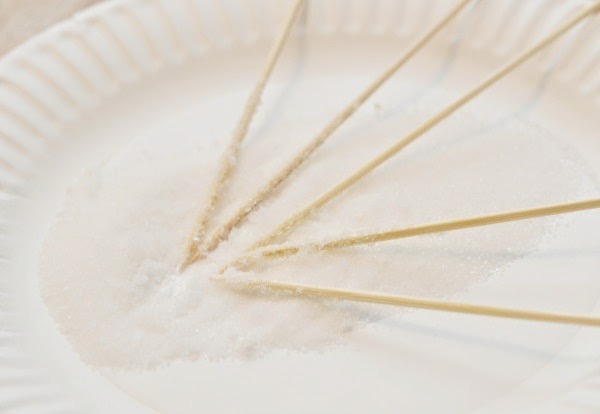 Set the sugar-coated sticks aside and allow them to dry. 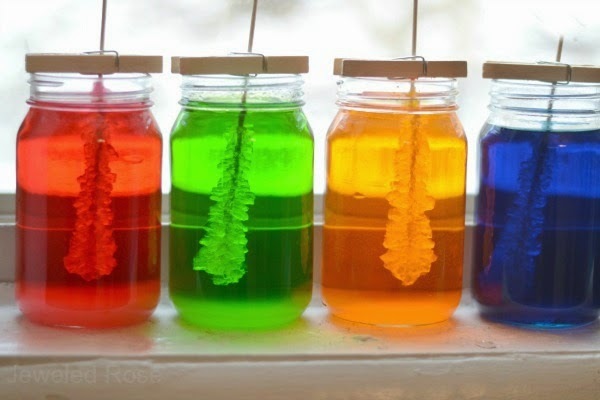 Once your sugar-water is cool enough pour it into jars, using one jar for each color of rock candy that you wish to make. Once the sticks are dry carefully place them into the jar(s). You want to make sure that the sugar-coated sticks are completely dry before placing them in the jars. 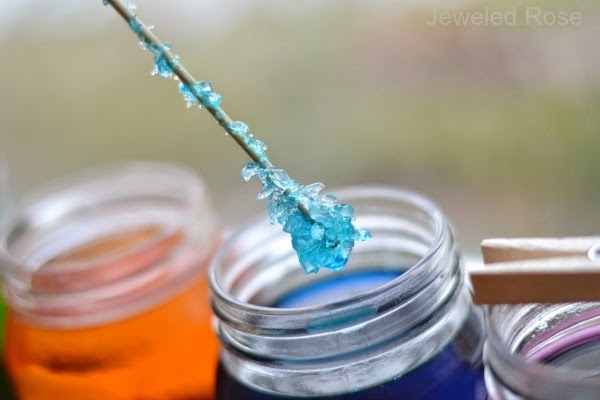 The rock candy needs the sugar on the sticks to grow, and if the sugar isn't dry it will dissolve in the water. 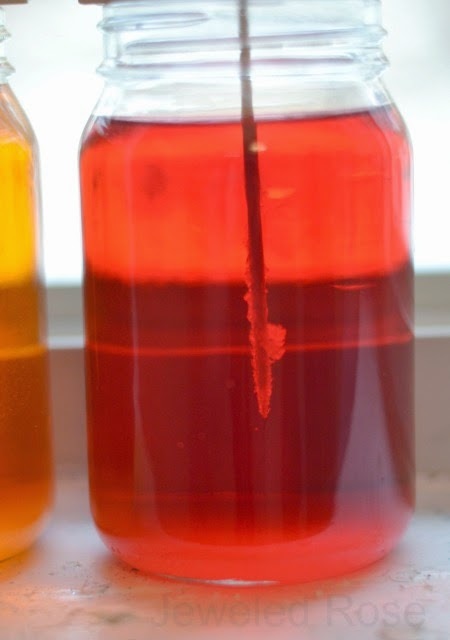 It is also important to make sure that the sticks are not touching the bottom or sides of the jar. It is now time to sit back and observe the jars! Rosie and Jewel loved checking on their jars each day. This is what our rock candy looked like after just one day. After day three we could really see growth! 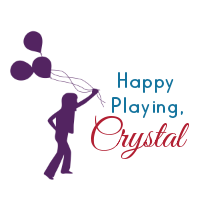 By day 5 my girls were dying to actually eat rock candy, haha. But, this was a great lesson in patience. After a week our rock candy was almost ready! Just look at those beautiful jars! 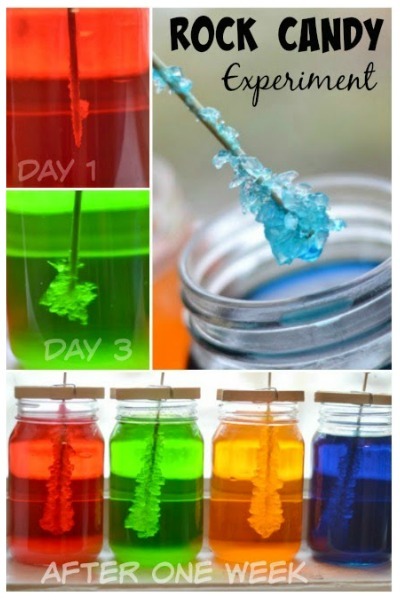 After a week your rock candy can be removed from the jars and enjoyed. 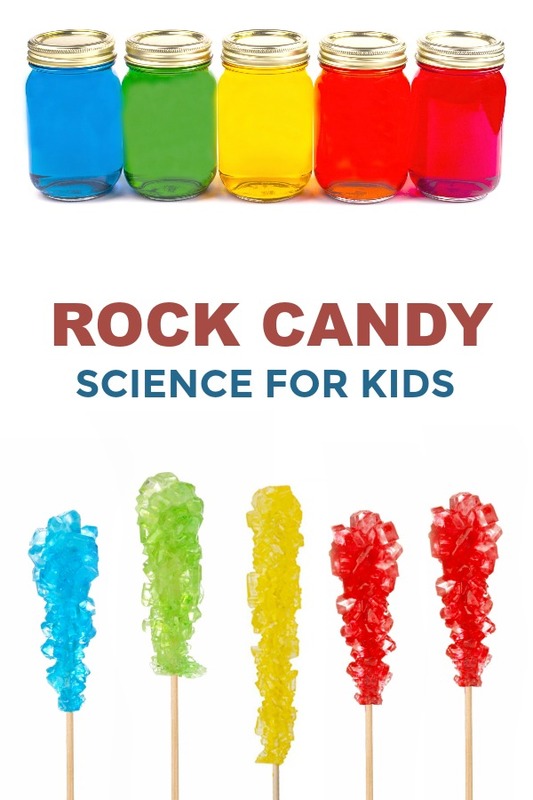 You can extend the fun and grow your rock candy longer if desired. 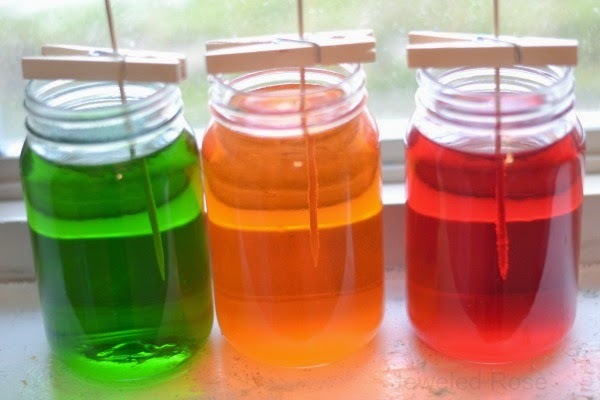 Once you and the kids are ready remove the candy sticks from the jar(s), and then place them on a clean surface to dry. Once dry you will have a yummy treat to enjoy! Eating the candy was my kids favorite part of course. They said it was, " the best candy they had ever tasted", and I am sure that is in large part due to the fact that they made it themselves!